. Knowing the sounds and what they mean can help an individual understand them better. It can be described as a low intensity, short range alarm and / or threat. A woof is a sound that parents usually make when they want to send their pups into cover or the den. The growl is a high intensity, short range threat. It is mainly used to warn another coyote or coyotes of impending danger. It is basically a high intensity, short range puff. Though it is not really one of the major coyote sounds, it is classified as such. The huff is mainly produced by the rapid and forceful expulsion of air through the nose and mouth simultaneously. The resultant effect is blowing spit and snot in the face of the object that is currently giving them discontent. A rapid series is used to produce it that results with a chuffing sound. Coyotes use it to ward off any unwanted advances from fellow coyotes or any other animal. 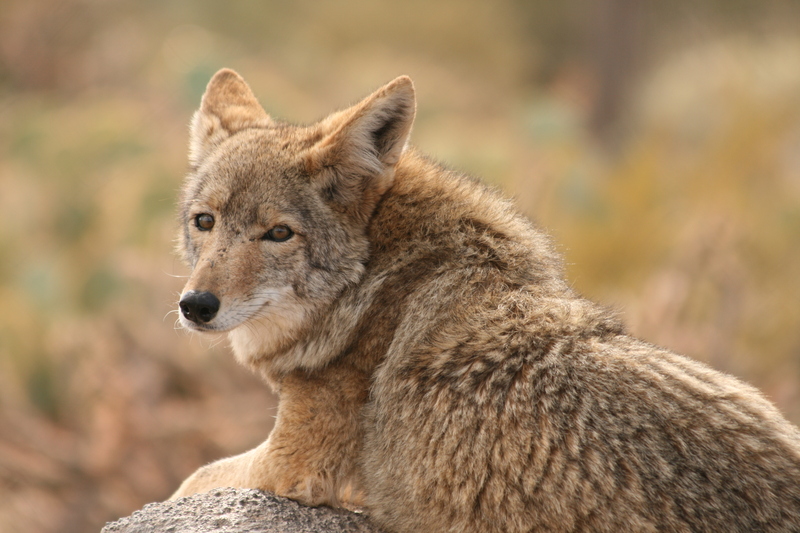 One of the common coyote sounds is the bark. It can be described as a high to low intensity, long range warning and / or threat. It is one of the leading controversial vocalizations among coyotes. The bark is used for various reasons. One of the most common is to increase their sense of security especially when they are confronted by a smell, sight or sound that intimidates them. The bark will be used to ward off the unwanted item whether it has been identified or not. It is usually used before an attack or retreat depending on the size and scope of the threat. Can be described as a high intensity startle or submission response. Yelp is normally used when the coyote is surprised unpleasantly. In some cases, it is followed by a bark or attack depending on the cause of the yelp. Puppy yelps are discerned to be more of a distress call than a startled response. Such coyote sounds are usually higher in intensity and longer in range than their adult counterparts. Last, but not least is the whine. It is mainly a high intensity, short range submission. The whine is used to communicate various emotions. It can be used to communicate pain, hunger or distress. These are the major coyote sounds that have been researched and studied to date.
. Take advantage of that ecaller and use sounds from all the others and even some home made sounds that nobody in your area has played before. Why use something those coyotes already know, try something new and start bringing in those coyotes again.